A new study concludes that among older adults — especially those who are frail — low levels of vitamin D can mean a much greater risk of death. It is another huge health breakthrough regarding the strongest nutrient out there in terms of disease prevention. This is a national study, which overall found that older adults with low vitamin-D levels had a 30% greater risk of death than people who had higher levels. Add to this the fact that people who were frail had over double the risk of fitter, stronger individuals. This shows how important it is, as an older adult particularly, to monitor vitamin-D levels. This is the first study to look specifically at the combined effect of frailty, vitamin D and risk of death. Researchers combed through data on 4,300 adults over the age of 60. At this age, there is a higher risk of melanoma, but this doesn’t mean adults should be out of the sun. In fact, more activity outdoors, using a common sense approach to the strength of the sun, is an important goal. Proper nutrition and exercise equal a longer, fitter life. 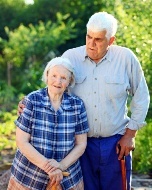 Frailty technically means you have at least three of the following five criteria: muscle weakness; slow walking; exhaustion; low physical activity; and unintentional weight loss. You are “pre-frail” with one or two of these criteria. What they couldn’t deduce was if low vitamin D contributed to frailty, or if frail people become vitamin-D-deficient because of health problems. But, in the end, it doesn’t matter. If you are frail and low in vitamin D, you face a significantly greater risk of mortality. A stunning 70% of U.S. adults have insufficient levels of vitamin D. The worldwide number stands at one billion. Most experts recommend adults take 2,000 international units (IU) a day, far higher than the 600-700 IU that is officially talked about. Older adults should live as long as possible, enjoying retirement (hopefully) and what are glorious years in a lifespan. Fighting off frailty means ensuring you have a balanced diet that includes good sources of vitamin D like milk and fish, and being physically active outdoors. That is the recipe for living longer, healthier, and independently.